Cincinnati Hebrew Institute.—This institution is now in the full tide of successful operation. The principal, Mr. J. K. Gutheim, gives universal satisfaction. The school is conducted under his guidance, assisted by Mr. W. H. Nixon, in the English department. It is contemplated shortly to engage a female teacher. The society numbers 112 members, and there are at present 58 pupils in daily attendance. Sunday Legislation.—The Court of Common Pleas of Hamilton county, Ohio, has reversed the decision of the Mayor of Cincinnati who fined several Israelites for transacting business on Sunday. The ordinance, upon which his action was founded, was decided to be unconstitutional, and at variance with a spirit of free toleration. The judge in his charge to the jury remarked, that a Jew or person of any denomination, who conscientiously keeps one day holy, may prosecute his avocations on every other day, but he must not commit a nuisance to the community; his business, however, can be no more a nuisance on Sunday, than on any other day. The case was ably argued for the appellants by Mr. C. H. Brough and Mr. O. M. Spencer. The Hebrew Ladies’ Benevolent Society of Cincinnati gave their regular annual ball on Thursday evening, the 12th of March (Purim), at the new and splendid hall of the Masonic Fraternity. To the managers, Messrs. P. Moses, E. Mayer, A. Louis, J. Abraham, L. Einstein, and I. Wolf, the greatest praise is due for the excellent arrangements of the evening. A very handsome sum was realized from the proceedings. The treasury of this society had been entirely exhausted by the many calls made on it during the past severe winter; but owing to the unremitting exertions of the popular gentlemen who took the affair in hand, the coffers are again well filled. The ball is on all sides admitted to leave been one of the most decorous and splendid fetes of the season. New Orleans.—On the same night as the above, being the festival of Purim, a ball was given at New Orleans, for the purpose of charity. The last accounts from that city represent the same as a brilliant affair, and as one that had given much satisfaction. It is well, indeed, that once in a while men should consecrate their pleasures to that which gives the brightest zest to life, the consciousness of having contributed to the relief of those on whom the hand of misfortune weighs heavily; and truly we may feel proud in this respect of our American congregations, because in their joys they remember their needy and suffering fellow-beings. May it be accounted to them as righteousness. St. Thomas.—We deeply regret to learn that the peace of the congregation in this place has not yet been permanently restored, consequent upon the withdrawal of the late minister; though we still have strong confidence that Mr. Nathan will before long be able to unite all hearts in a hearty support of the public cause. We understand that the King of Denmark has ordered a commission to make new laws for the congregation. This commission has been named by the Governor General, and consists of the Rev. Mr. Nathan, Messrs. Aaron Wolff, Rothschild, Charles Da Costa, Osorio, and a legal gentleman, whose name we have not obtained. The business of the latter is merely to examine the laws proposed, so that they may contain nothing against the laws of the country. The commissioners are progressing with their work, and when finished the laws are to be submitted to the Gov. General for his opinion, and they are then to be reported on and forwarded to the chancery, for the king’s approbation. We hope that the result of this new legislation may be all that is expected from it. St. Domingo.—We have been informed that a number of Israelites have settled in the city of St. Domingo, the capital of the new Dominican republic, and a large congregation is soon expected there. They number already over a hundred persons. Russia.—Sir Moses Montefiore, accompanied by his heroic wife and Dr. Löwe, left England the latter part of February for Russia, on a mission of love for Russia. It is said that the Emperor has dismissed a general officer for the cruelty he had exercised toward the Catholics; and hence it is hoped that the mission of Sir Moses may have some beneficial effect upon the hard fate of our suffering brothers in the north of Europe. It is stated that a committee of the British Board of Deputies, consisting of Baron Lionel Rothschild, Hananel De Castro, David Salomons, and Louis Lucas, Esqrs., has peen appointed to cooperate with Sir Moses. May He, in whose hand is the heart of kings, turn the mind of the tyrant to have mercy upon those who are unjustly persecuted, and give them enlargement from their sorrows. American Jewish Publication Society.—The Miscellany No. 3, containing The Prophet’s Daughter, a Tale by Mrs. Hartog of London, is just ready, and will be sent to the subscribers and the auxiliary societies by the first opportunities. We acknowledge the receipt from Charleston, South Carolina, of the contribution of twenty­five ladies of that city to our funds, also several single subscriptions from Columbus, Georgia, London, and Potosi, Wisconsin Territory. There is now a prospect of success, at least to a limited extent; and we urge Israelites all over the country to do what they can to render the existence of the society a permanency. A little exertion alone is required. The plan speaks for itself, and it can succeed, if only our people are true to themselves. “On the last 10th of Tebet, there was offered in many Synagogues in Franconia, a special prayer for divine help and support to our suffering brethren in Russia and Poland. Daily prayers to this effect have also been ordered, which forms an important contrast to the rage manifested by modern reformers against all those prayers which speak of deliverance from oppression.”—Treue Zions Wächter. “Since our last communication on the subject, prayers for our unhappy brethren in Poland and Russia have been ordered, in many larger and smaller congregations in South Germany. It were to be wished that this example should be generally followed.”—Treue Zions Wächter. Aix La Chapelle, 1st Sept.—Government has ordered the formation here of a Jewish theological school, for the training of Rabbis and teachers for the Jewish congregations of the Rhenish provinces. This is the first establishment of the kind founded by government; all those at present existing in Prussia were founded, and are supported, by the Israelites themselves.—Voice of Jacob. Russia.—The ukase concerning the expulsion of the Jews from the open country, has begun to be acted upon. 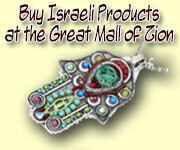 More leniency, however, is shown towards Jewish merchants and the inhabitants of towns. These have been permitted to keep warehouses, and to farm estates, provided that there be no distilleries annexed to them; likewise to keep inns, hotels, and corn-mills, in towns. The editor of the Z. d. J. finds in this leniency towards the richer classes of the Jewish population a refined policy, by means of which, it is intended to divide the Jews, by separating the interests of the rich, and consequently of the influential part, from the poor, and therefore helpless class.—Ibid. Vienna.—We supply some particulars omitted in our last, of the audience which the elders of Vienna sought on the 31st ult., of the Emperor of Russia. The petition represented in a clear and impressive manner the whole state of affairs, to which the memorialists added various verbal elucidations; concluding with an appeal to the Emperor’s justice and magnanimity. Count Orlow is said to have assured the deputation of his entire sympathy, adding also, that the Emperor would now do every thing to, contribute towards the bettering of the circumstances of his Jewish subjects; and further that, on this subject, many things, either untrue or exaggerated from impure motives, had been published.—Ibid. It is with the deepest and most heartfelt sorrow, that I announce the melancholy, untimely, and most painful death of David Sanders, late of Claiborne, Alabama, who died on the 18th of Heshvan, in the 32d of his age. A fatal fall from his horse caused his death. He left an amiable and pious wife, to whom he had been married but eighteen months, and an interesting infant only four months old, and both will long have cause to lament the loss of an affectionate husband and father. He was universally respected as a man and a citizen, and honoured for his integrity and amiable demeanour. His remains were attended to the grave by a numerous concourse of friends and strangers, anxious to testify thus their esteem for departed worth. B. E. M.